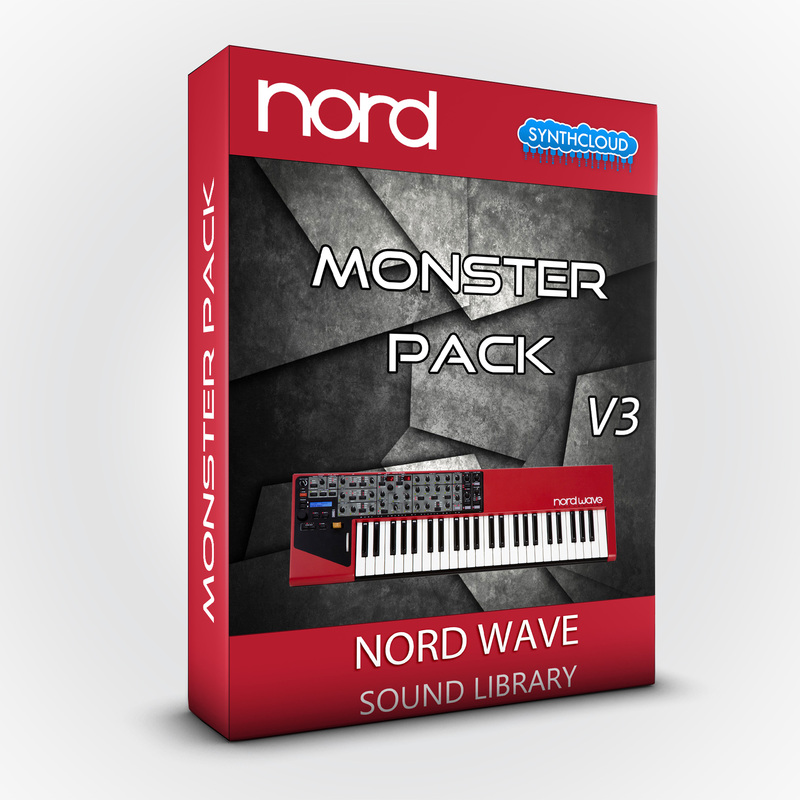 The Nord Wave Monster Pack V3 is a sound library containing sounds of the highest quality for studio productions and live performances: Monster Pack V2 + Sample Upgrade + Roland Legends... over 100 new sounds! The Nord Wave Monster Pack is a great collection of moving pads, aggressive leads and soft plucked synths. This pack pushes your Nord Wave over the edge of its capabilities. Check the video demo to believe! 55 new patches! The Nord Wave Sample Upgrade is a great collection of moving pads, aggressive leads, strings and bass sounds meticulously created using samples of the highest quality... 32 new sounds on about 150 MB new samples ! The NW Roland Legends is a great collection of moving pads, organs, piano synths and clavinet inspired by the legendary Roland synths... 20 new sounds on about 175 MB new samples !